Air drying is among the most common moisture removal mechanisms in the world. It is used in large scale industrial drying operations for the preparation of products for surface treatments, storage, shipment and for many other purposes. In commercial contexts, air dryers are used to dry floors after spills or leaks. Air dryers are also available throughout consumer products contexts; they are used as hair dryers, clothes dryers and in many other applications. Air dryers are available in variable sizes, configurations, blowing velocity, airflow generation methods and a long list of other properties and qualities. Air dryers can be simple fans that dry products with only a stream of air. Others can be combinations of forced air and heating elements, which can dry products more quickly. 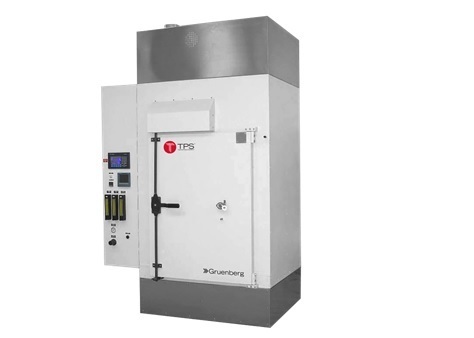 Heated dryers are used more commonly in large scale industrial contexts; dried fruit processing, surface treating, metal fabrication and many other processes often make use of heated air dryers. However, for the most intensive drying applications, freeze dryers and other more thorough drying processes are employed. The concept that joins all air dryers into one category is the concept of accelerated moisture removal. Air drying is a means of speeding up the process of evaporation. Evaporation is the process by which a liquid turns into a vapor. In the case of water, evaporation naturally occurs without difficulty. However, evaporation speed depends on variables like water temperature as well as the surrounding air temperature and pressure. At room temperature in a stagnant environment, a small puddle of water or a small soaked towel could take up to several hours to become dry. Evaporation is sped up when a stream of forced air disrupts the bonds between water molecules; this stream forces the water molecules’ dispersion into the surrounding air. Air dryers are the source of this force, and their use greatly reduces the time it takes to dry all kinds of products, increasing efficiency and output in manufacturing processes. Depending on the needs of a given air drying operation, an air dryer can be as simple as a few rotating blades on an axis, or it can feature a centrifugal enclosure with high-efficiency impellers for stronger airflows. Air Dryers Air dryers are tools that use a stream of air to remove moisture from something. Drying is the process of moisture removal; it can be accomplished through heating, freezing, blowing, sucking and in all kinds of other ways.